These are looking pretty darn epic! Good job you guys, I may just participate in myself (although I personally can't draw, at all!). Neither can I. But this is the art thread for people with no talent. And it's working well, too. Here's Ponyta. The face is a little Derpy, but you know. Updated front sprite. Frog should find this one about 20% cooler. I'll do Moltres and Raichu's backsprites tomorrow. Those are pretty cool. Also, I just realized that Derpyta's backsprite accidentally resembled Mightyena a bit. I'm going to need a better way to do these... The first post is going to get cluttered. Maybe what ill do, is just start saving them, and listing what needs to be done still, and ill put them all in a zip folder, with a text file containing who did what. Alright, updated. I'm no longer adding them to the front page, instead, i'll be removing ones that are done from the list of available ones. Any one that is not on the list right now is saved onto my PC, with the respective person credited. Also, to note, I will be renaming the files to their 3 digit number, and F/B. so pikachu is 025F.png for front and 025B.png for back. I call dibs on Graveler and Golem. Alright, cool. Also, are we limiting this to the first 151 Pokemon, or are the later (at least gen II) Pokemon acceptable? On a side note, your Charizard backsprite looks like he is from a Dolan comic. Gooby pls. lol. Main focus is gen 1&2. I call dibs on Stantler though, he's my favorite. Wow, that's an awesome paint-ing :> I love it. 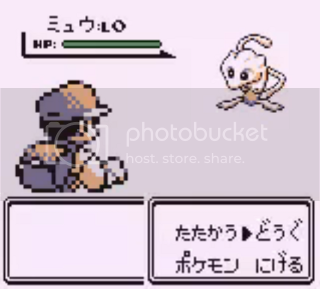 And Mateo, doesn't your Pikachu backsprite look.. too much modeled on original ones? It shouldn't. I mean, I looked at a real backsprite but then I just freehanded the whole thing. Haha. Decided I'd give this a try! Awesome job! Glad to see more people contributing. That is one horrible sprite. I'd actually say that Magikarp looks TOO good, it would stick out from some of the others here. But since we're sharing some that aren't intentionally sloppy, here is a Rotom I made way back. It was made from scratch and in MS Paint, so it still qualifies. I made it for the old Secrets and Rumours and will be using it in the upcoming Spirits and Legends. (I know it isn't from Gen I and II though, I just felt like posting it). I'm thinking of listing the top 3 or so contributors to the first post, as a little... competition thing, what do you guys think?